According to the legends, good spirits lived in it, protecting the house from evil forces, bringing luck and well-being. 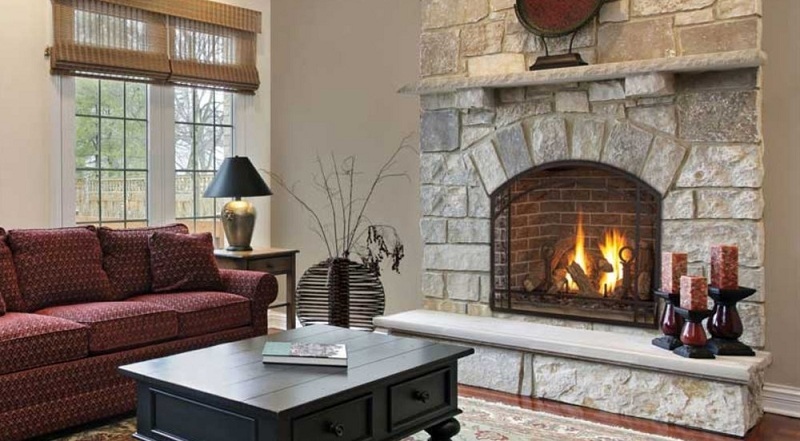 In modern interiors, the fireplace has become the epitome of the family hearth. This design is not only a source of heat and a means of heating. With its appearance it complements the interior, making it unique and exquisite. Today, you can equip a room with classic products or their electrical counterparts. Which option to choose is an individual question. It all depends on the planned budget, the size of the room, the design of the room. But the most elegant and sophisticated models are made of natural stone. Why? Read about it further! 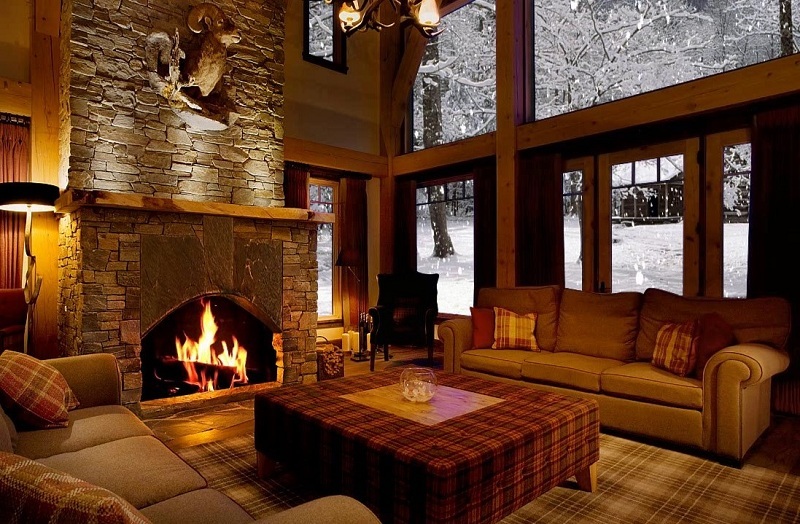 The source of heat and comfort also has an aesthetic function. It is harmoniously combined with classical and modern interior solutions. This design gives the room comfort and attractiveness. But mounting the hearth is troublesome. It is necessary to pay special attention not only to the choice of materials of execution but also to the installation of the chimney. This element – “light” design. In the frosty time, it should not freeze, so you need to take care of insulation. For the chimney, it is better to choose refractory materials; the durability of the whole structure depends on their quality. Attention! It is necessary to approach the selection of a flue “with predilection”. The narrow one will smoke heavily, risking filling the room with smoke, and the wide one will not be able to save heat. Attention is also demanded by the finishing of the furnace part. Traditionally, it is customary to leave it open. To exclude the likelihood of fire, to create the right construction for all parameters, this process should be trusted by professionals. The main finishing materials are cast iron and metal. They are characterized by maximum heat emission. Onyx. This material is an expensive breed. It is durable, resistant to temperature fluctuations, mechanical damage, and durable. 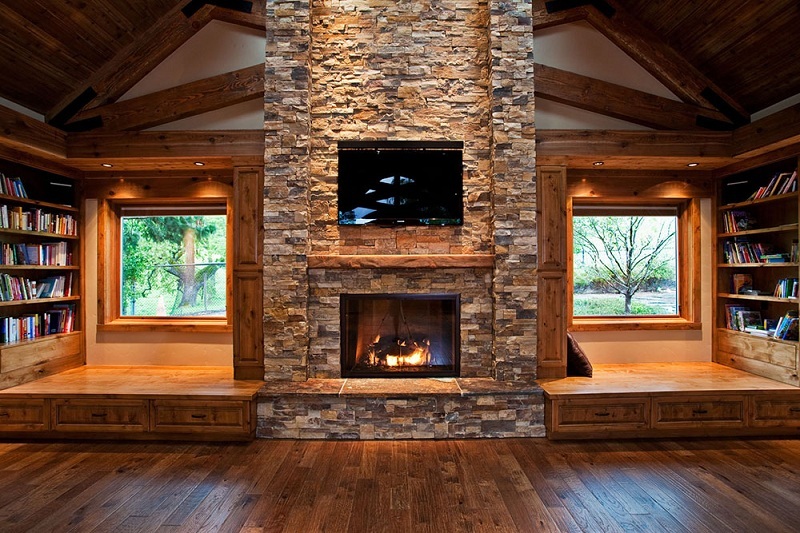 Natural stone for facing the fireplace is not only used for aesthetic reasons. Natural material perfectly retains heat, is environmentally friendly and safe. On contact with high temperatures, it does not release hazardous compounds and chemicals. An important advantage of natural stone is durability. Constructions from natural materials serve for decades, maintaining their aesthetic and operational qualities. The main problem is finding and acquiring high-quality raw materials. 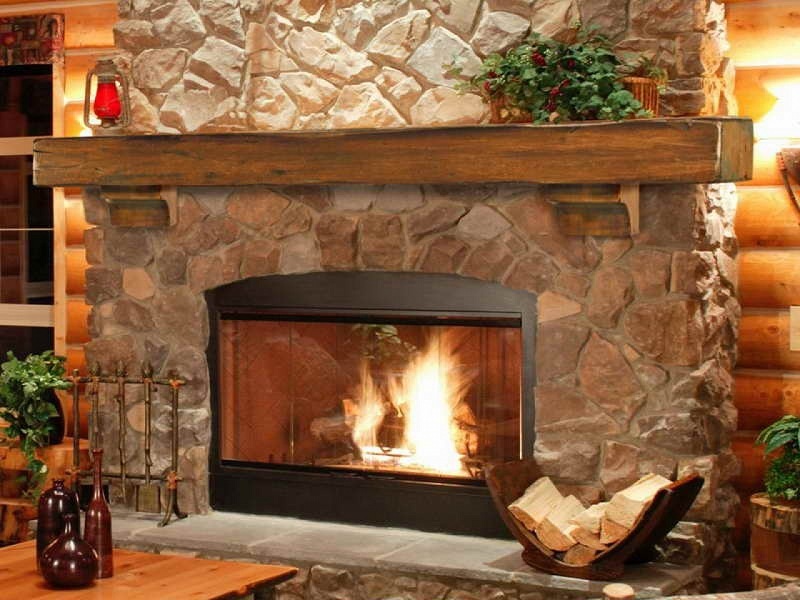 In order to find the perfect materials for finishing the fireplace or to create other structures made of natural stone, you can visit the Amigoston stone exchange. First-class materials and products from the best manufacturers at attractive prices are the advantages of the company, which are noted by customers and buyers. The use of noble raw materials in the decoration of the room shows a refined sense of taste. Stone textures, color and surface textures make the products unique and original, and a rich palette of shades allows you to create designs that satisfy preferences and different tastes. Interesting! Facing the fireplace – this is his “face”. And this design can be a reflection of any century. 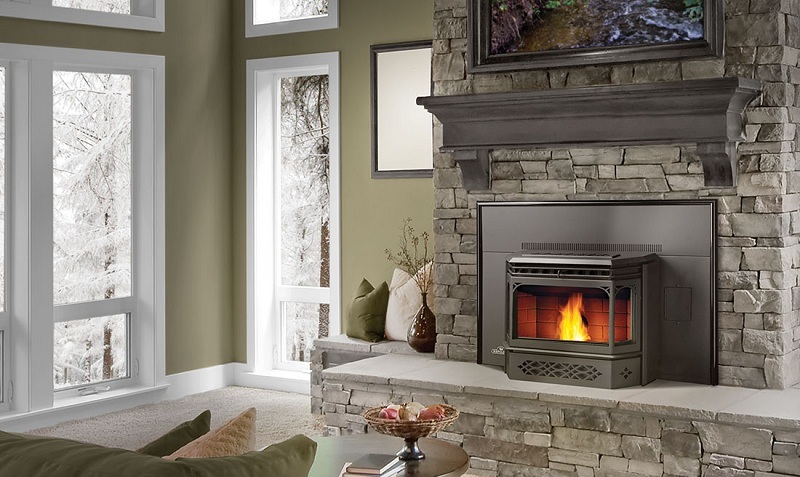 Simple and elegant forms of the classics, complemented by columns and antique bas-reliefs design – a variety of solutions and options will allow you to create incredible and original heat sources that make the atmosphere of the room cozy.